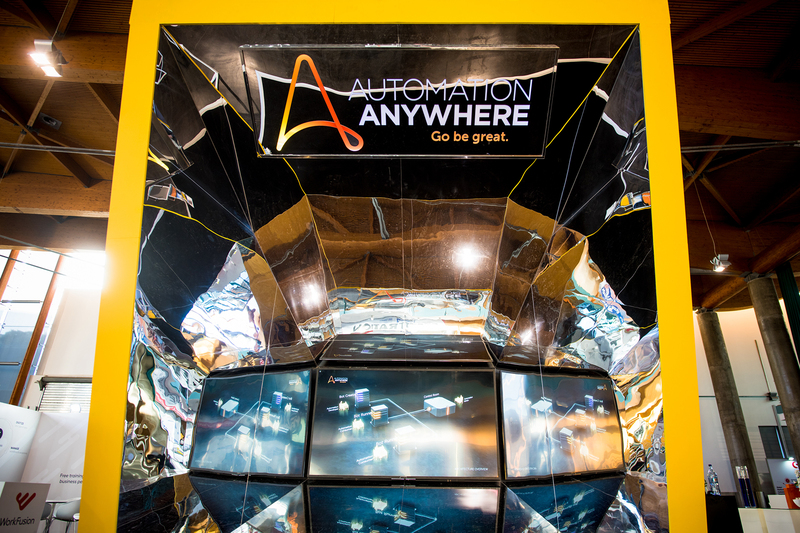 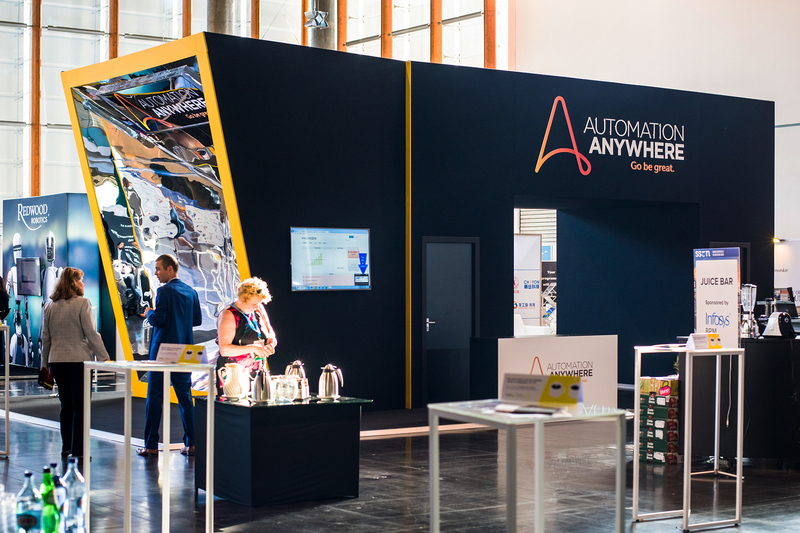 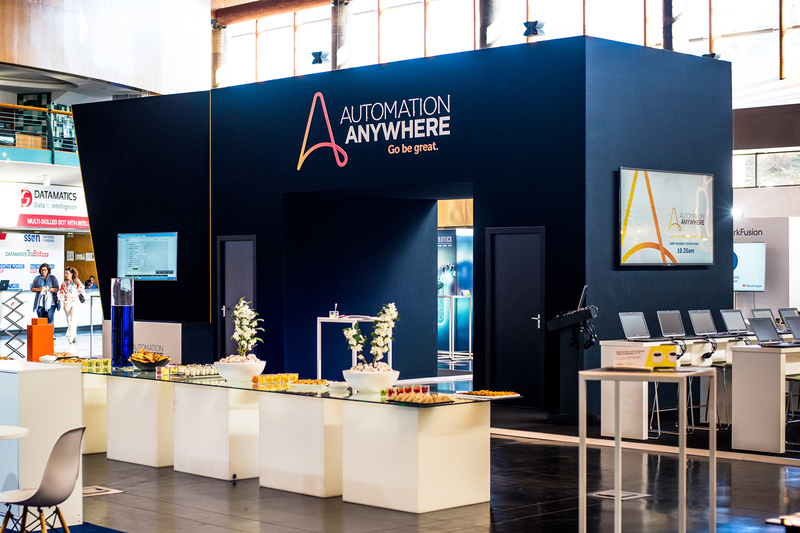 Automation Anywhere, a company that revolutionizes the way we use bots in the workspace, has grown into a multi-billion dollar organization quickly. 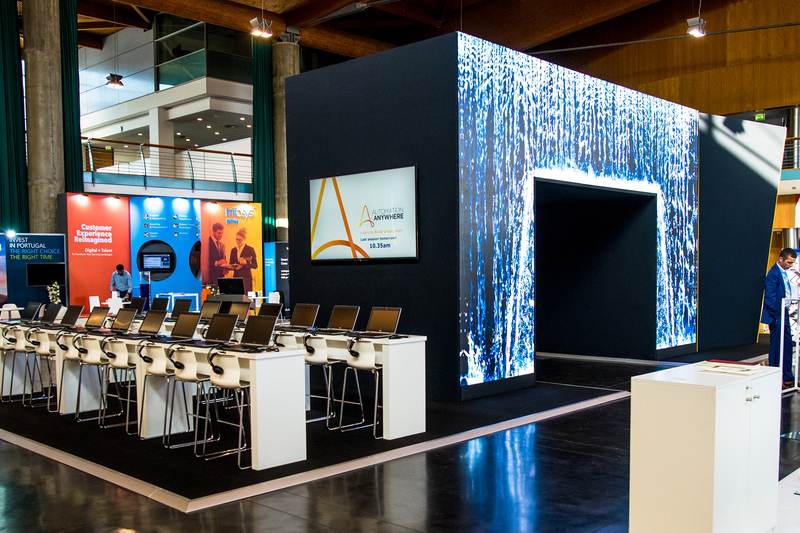 After designing their successful 2017 Shared Services and Outstanding Week booth (SSOW), they came back to Group Delphi to see if we could design their 2018 booth. 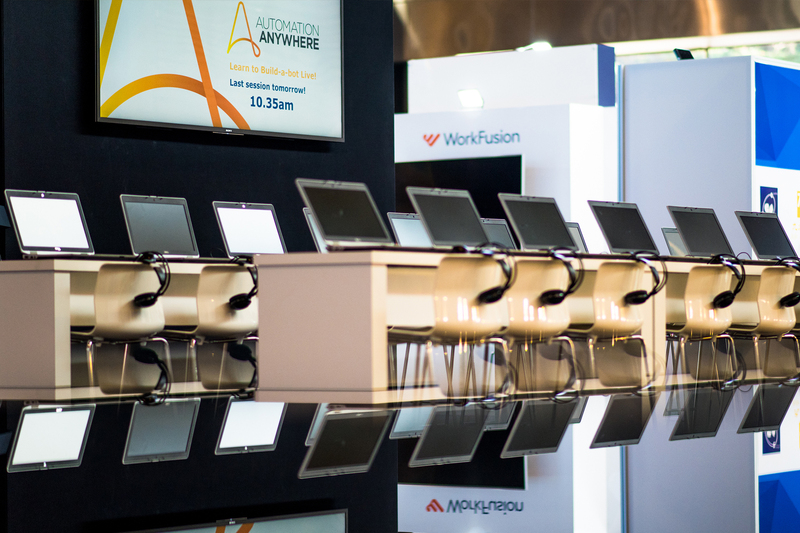 The design this year had to showcase all the ways in which attendees could customize the use of robotic technology as an extension of their workforce – allowing them to imagine its use in their everyday lives. 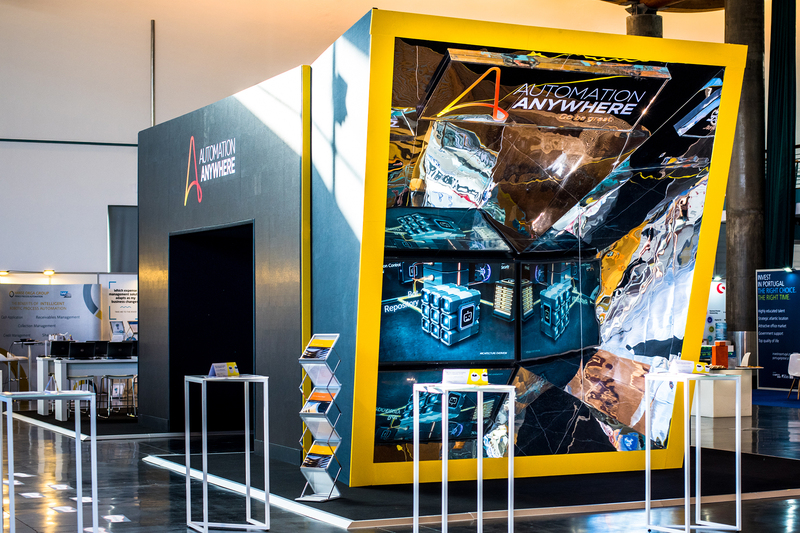 To achieve this, I was given two 20’ x 20’ spaces that needed to be cohesive and connected in a unique way. 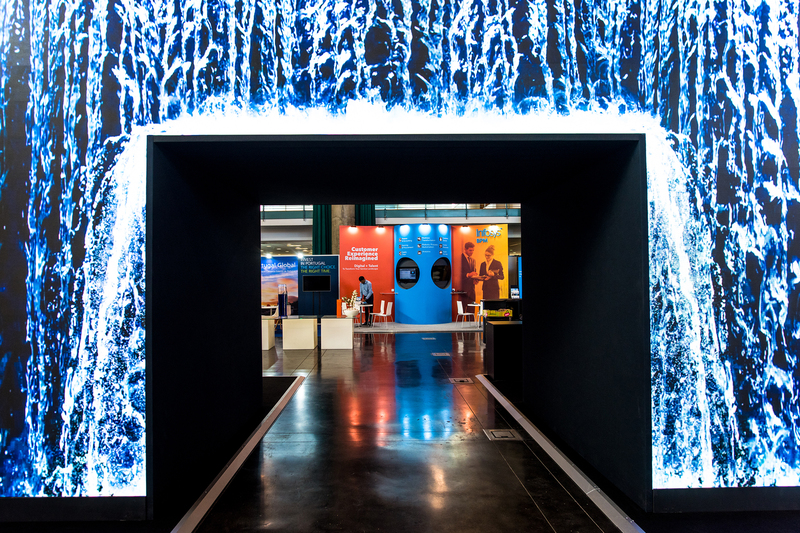 The final design evolved into a bridge that connected both 20’ x 20’ spaces and featured an eye-catching kaleidoscopic interactive element that told a story of innovation, drastically improved workflow, and boundary pushing technology.